Love tattoos but are scared to go under the needle? Thanks to the recent runways, you don't have to. Anyone who&apos;s ever gotten or wanted a tattoo -- myself included -- has that one friend or family member&apos;s voice that perpetually echoes in his or her memory before taking the plunge: "Tattoos are forever! You&apos;re going to regret this." 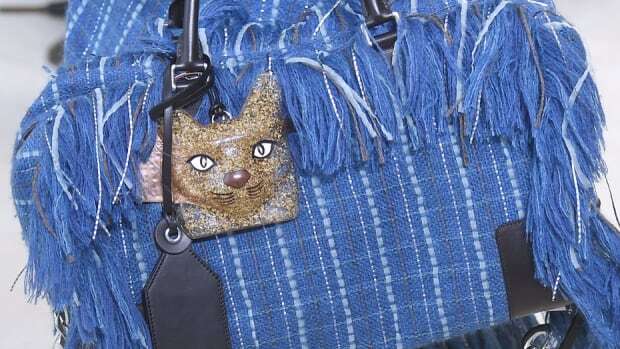 But, if the prevalence of tattoos in designer collections over the last few years are any indication, the taboo that accompanies permanent skin art will soon be a thing of the past. The Maison Martin Margiela Couture show walked today in Paris, and while all of the looks were wild, a series of embroidered tops with a tattoo motif (seen above) really caught our eye -- not only because they&apos;re cool, but also because they look very familiar. 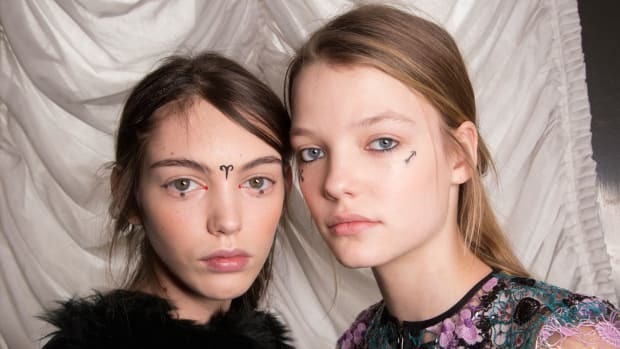 Ever since Chanel showed temporary tattoos on models like Dree Hemingway and Anja Rubik for the Spring 2010 show, , the tattoo motif has been a mainstay every Fashion Week. For example, Scott Campbell -- Marc Jacobs&apos; favorite tattoo artist -- sent laser-tattooed bags and models with temporary ink down the runway in a collaboration for the Spring 2011 Louis Vuitton men&apos;s show. For those who wanted something a bit longer-lasting, in lieu of a presentation for Spring 2012, Pamela Love opened a pop-up tattoo parlor at Milk Studios, inviting her friends and a handful of editors to get inked with illustrations of her new collection. In possibly the most surprising appearance, Brooklyn-based tattooist Stephanie Tamez hand-painted model Liu Wen with tattoos from head to toe for the 2012 Victoria&apos;s Secret Fashion Show, and top-level editors arrived at the "punk" themed 2013 Met Gala all tatted up. Plus, it probably doesn&apos;t hurt that models -- who are often designers&apos; biggest muses -- are constantly posting their new ink on Instagram. (We&apos;re looking at you, Cara Delevingne). In between all of the above, designers like Henry Holland, Rodarte and Jean Paul Gaultier have all shown collections heavily inspired by tattoo culture, proving what skin art enthusiasts have known for a long while: Tattoos can&apos;t be passed off as a flash in the pan trend. 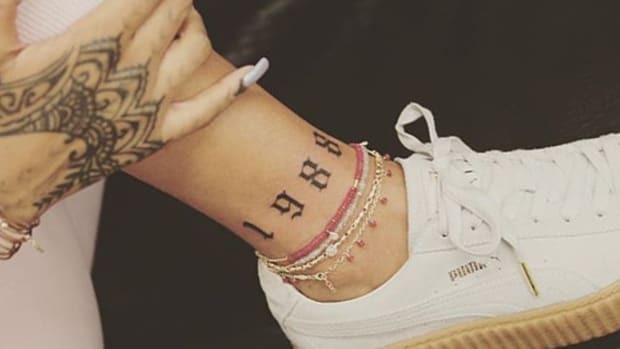 The good news is, if you&apos;re still not ready to take the plunge with some permanent ink, it looks like you&apos;ll still be able incorporate it into your wardrobe and your beauty looks for quite some time. Still proud of that septum piercing you got last year? Well, it might be time to take your body modifications up a notch. Or at least, not any time soon.